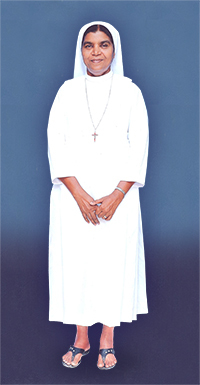 "Simplicity in life and Service to the poor"
The Superior General is the Head of the Congregation. 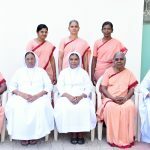 She appoints the Provincial Superiors and their Councillors in consultation with the General Councillors and the perpetually professed sisters. She governs and guides the Congregation as per the constitution of the Congregation and the laws of the Church. 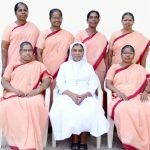 She ensures that the Charism and Motto of the Congregation are faithfully followed by all the members of the Congregation. She helps in building spirituality among the members of the Congregation. She listens to the members, individually and collectively, by visiting the communities and convening meetings. 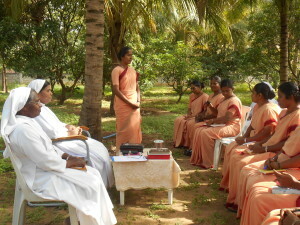 She initiates to expand the mission of the Congregation by establishing new communities. She protects the patrimony of the Congregation. She keeps in touch with the Holy See on matters concerning the Congregation.